Does anyone really read the copy? The challenge is to write copy that draws the reader in, stirring an emotion. Every word is important, whether two or two hundred. Copy that is precise and powerful breaks through the clutter. Verbs are where the action is. Use adverbs and adjectives sparingly. Often they are speedbumps, slowing down your reader. Take your reader by surprise. Who says you have to go from point A to point B? Maybe A leads to D instead. Clever copy can be good, as long as it resonates. If your reader doesn’t “get it,” it’s not the reader’s fault. Find the strongest emotional connection and stay with it. Don’t load up your copy with every feature or benefit of your product or service. Don’t exaggerate. And skip the jargon. You can give potential customers facts and features. Or you can tell them a story. A client offering long-term care insurance wanted to tell boomers why they should plan ahead for their parents. Our solution: Share your personal experience. 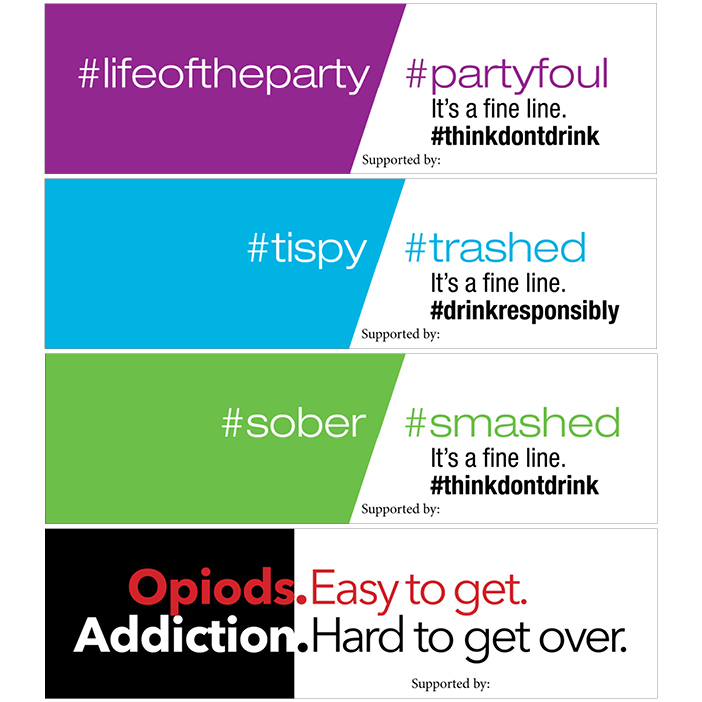 We were asked to create a message about opioid abuse and binge drinking. Our solution: Strong words that quickly punched up the point. 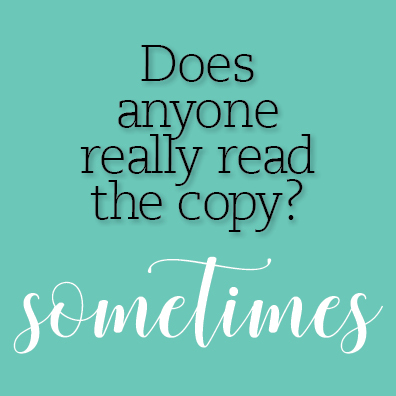 Maybe you find copywriting a challenge…or maybe you love to do it, but lack the time. We have the solution. From a complete campaign to a newsletter article, an annual report to an online ad, we do it all. Let us know how we can help you! Just send a note to ksmith@tcgad.com or give us a call at 717.569.7705. Comments Off on Does anyone really read the copy?